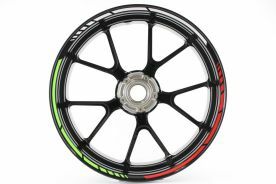 Motorsticker.com | For a lasting impression - Products - Motorsticker.com | Want to buy Rimstriping MotoGP Tricolore in three colors of your choice? In this category you will find the Motorsticker.com Rimstriping MotoGP Tricolore. 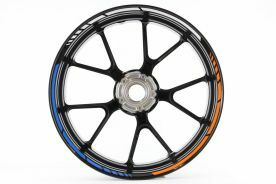 That is Rimstriping MotoGP as you know, but now in the three colors of your choice or in a style such as Italy, Holland and REPSOL. These stickers can be ordered in any of the colors in our color report. 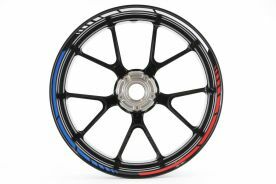 The width of the rimstripes is always 7mm. 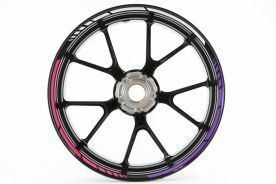 If you want rimstriping that includes the brand or logo of your motorcycle, we direct you to our Rimstriping SpecialGP.